Phoenix Central School District is once again joining forces with the community for its annual holiday school food drive that will take place December 7 through 16. 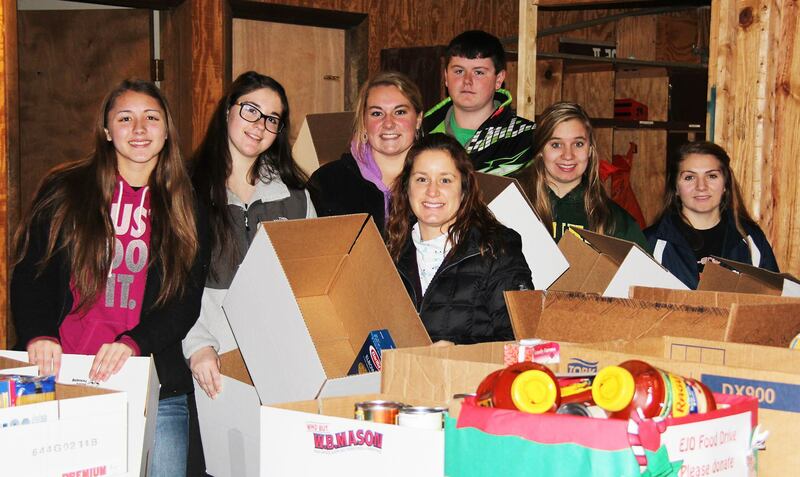 Phoenix students pack food boxes for those in need during last year’s holiday season. Please consider donating to this year’s cause; boxes available at each school in the district. Last year, more than 220 boxes were packed for families in need in the Phoenix community. Coordinator of the donations and high school physical education teacher Angela Neiss encouraged all to donate even more this year. Boxes and bins will be available at each school in the district for donation drop-offs and also at each winter concert. All non-expired food items are welcome, especially instant potatoes, pasta, cereal, peanut butter, jelly, soups, stuffing, tuna fish, etc. 12/1515 – JCB Band and Chorus Concert at 7 p.m. in the JCB auditorium.